Yes, your eyes are not deceiving you...I have posted again! I know, either I don't post for awhile or you can't get rid of me! Just think of it as me keeping you on your toes! LOL!!! and wanted to share with you. 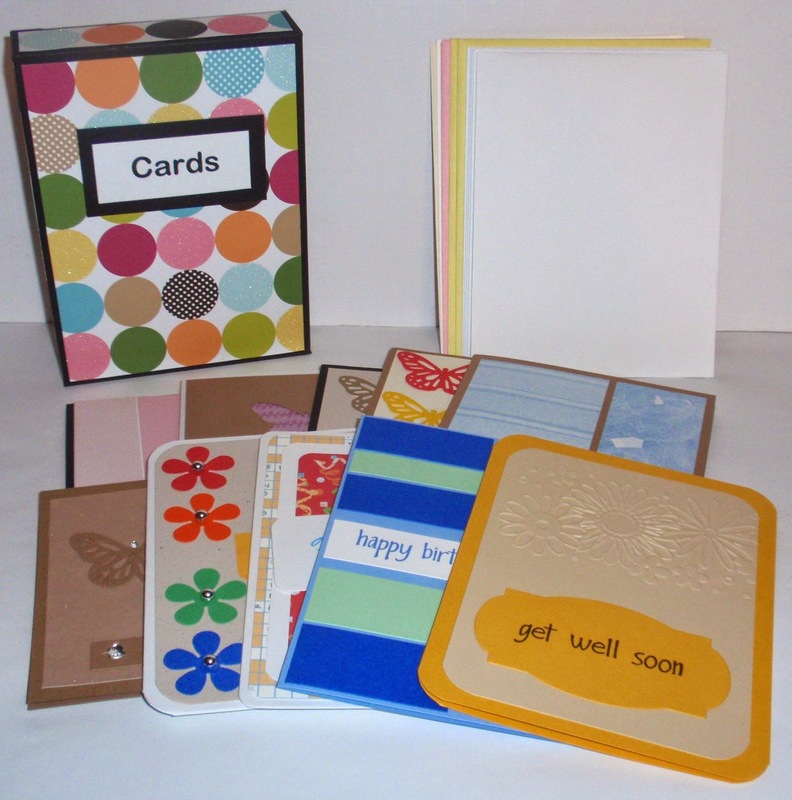 It's a box of assorted handmade cards. 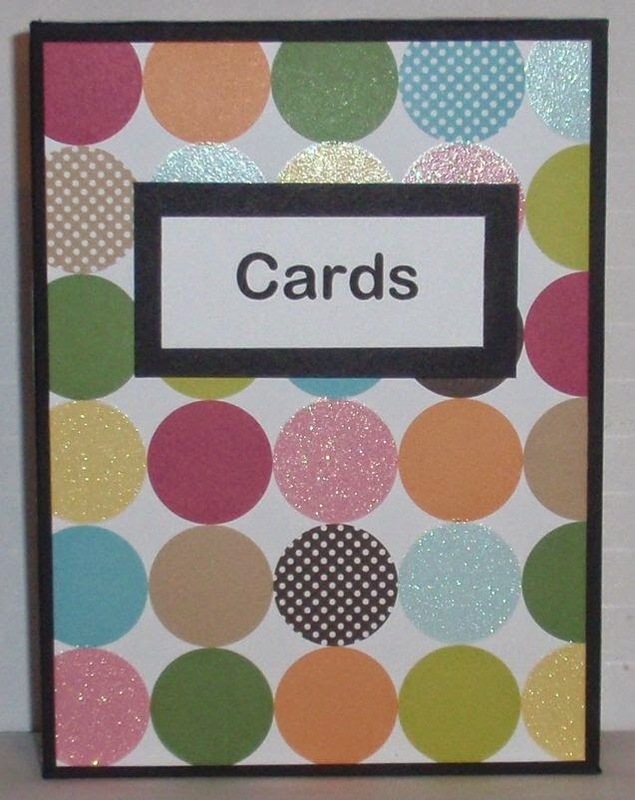 I've been thinking of it for so long, but couldn't decide on which kind of cards to include. I think I may have a good selection, but would love any feedback whatsoever. 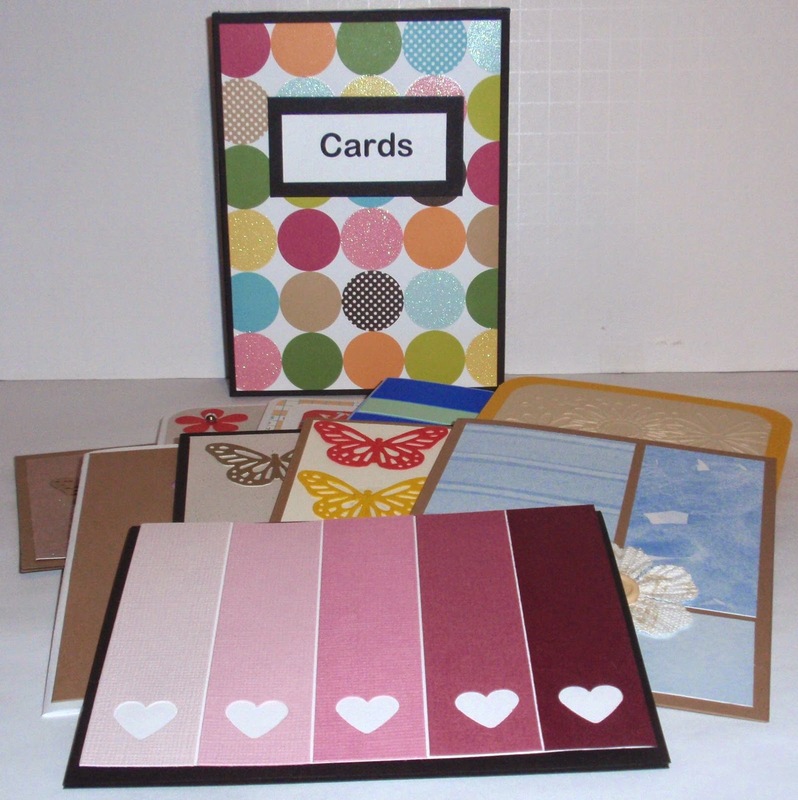 I have also included envelopes for all the cards. Honestly, I hope you will let me know what you think. I only put in 10 cards for the set...so it was hard to figure out what to include. I put this up in my Etsy store and hope that it is a set that people would enjoy. I also wanted to make something this weekend for my desk at work. tell you the truth, I didn't know either until I started working on it. 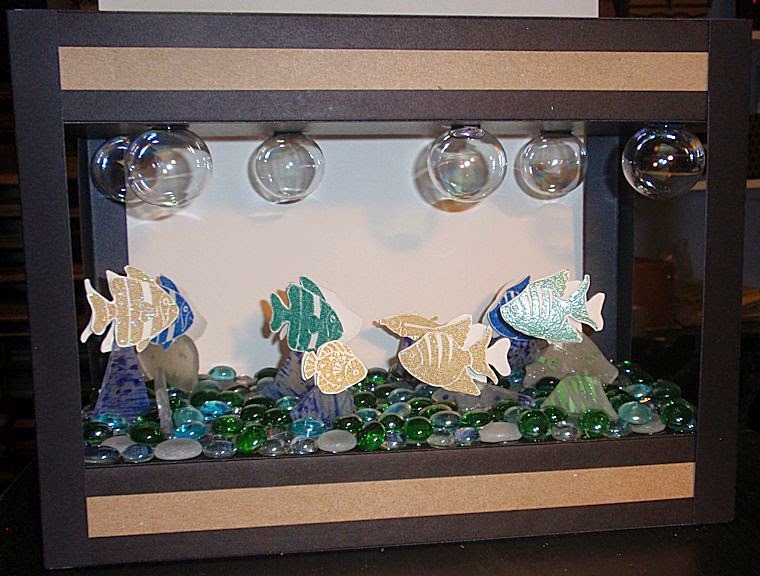 So I told him that I wanted to make a fish tank for my desk at work. 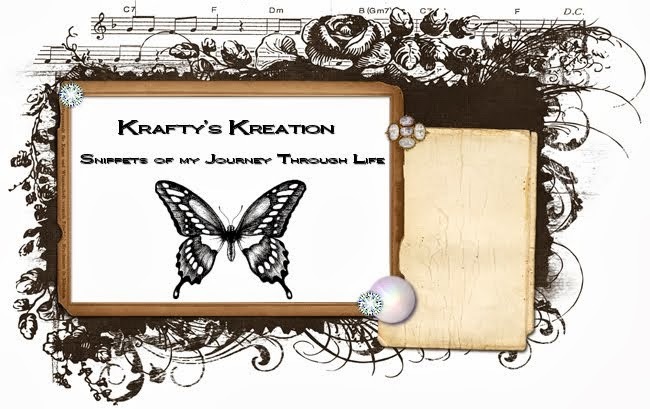 Nothing alive in it...all krafty. Here's how I started it. 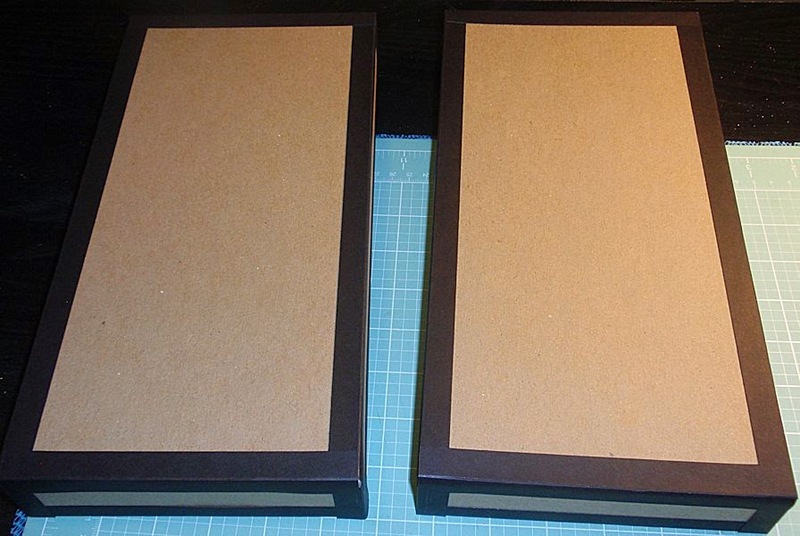 I made two 12" x 6" x 1 1/2" cardboard boxes for the top and bottom. 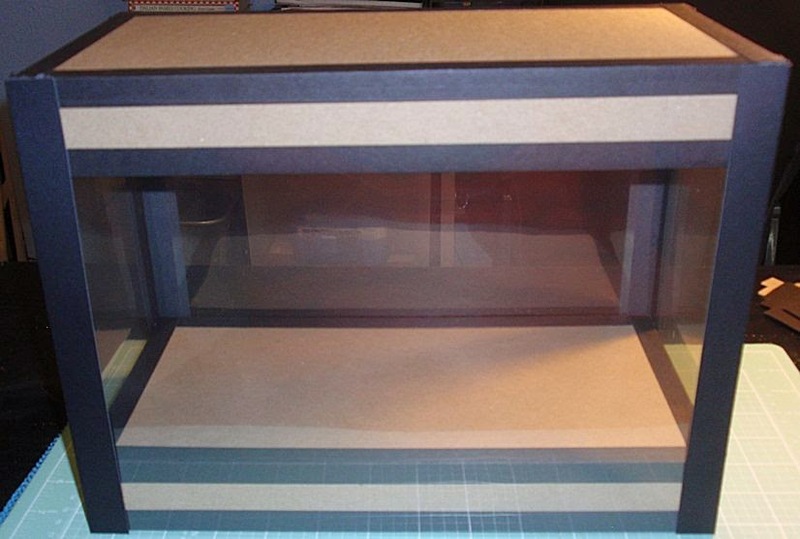 Then I used cardboard for the corner pieces and to add the top and bottom in place. 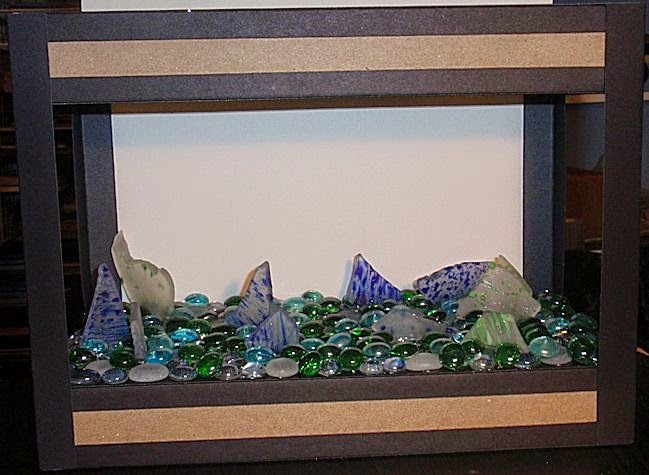 Next I added clear, frosted, green and blue glass pebbles. I also added green and blue sea glass. All of the pieces were hot glued down. 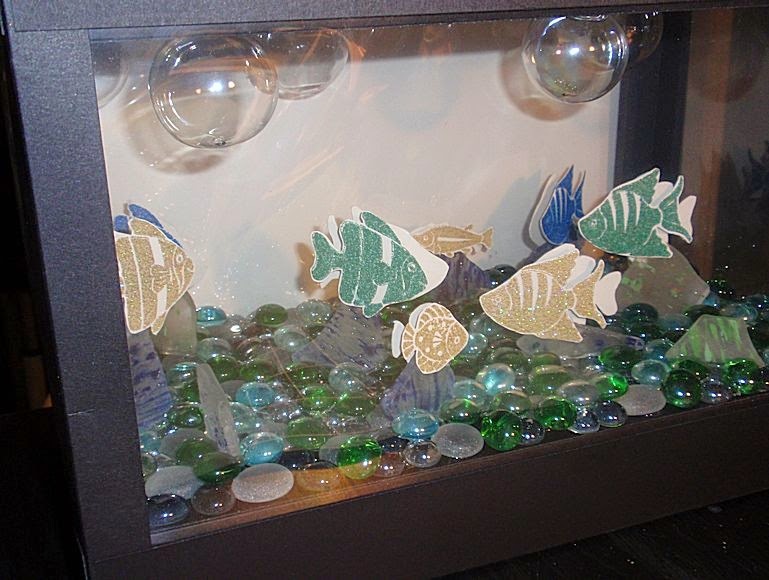 Next I stamped and embossed in green, blue and gold a bunch of fish I had. Then cut them all out. 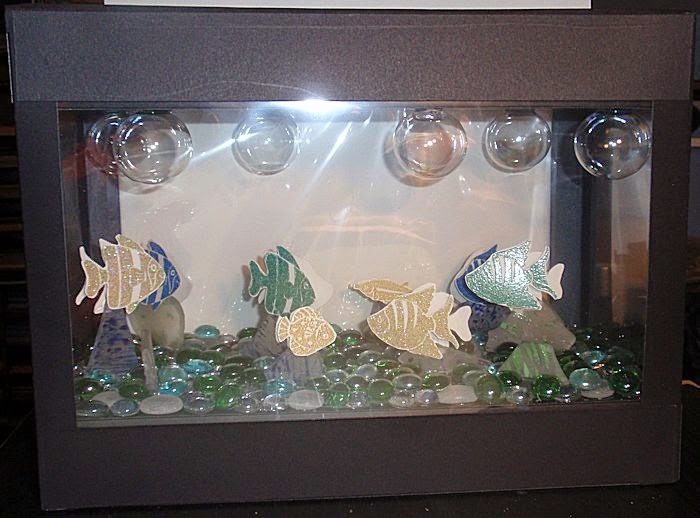 back and front so that you can see fish from every angle of the tank. Then I hot glued some small glass bubbles to the ceiling of the tank. Finally I added transparency film to each side and closed it off with black cardboard. not knowing what I would need them for...until now. and then all of a sudden, they are exactly what I need! Here's a closer look at the finished tank. Would love to know if you like what I shared with you. Comment below, I LOVE comments! Take care and hope to share some more soon! i think the card selection is great and that fish tank is amazing! Aw...you are too kind! Thanks so much!